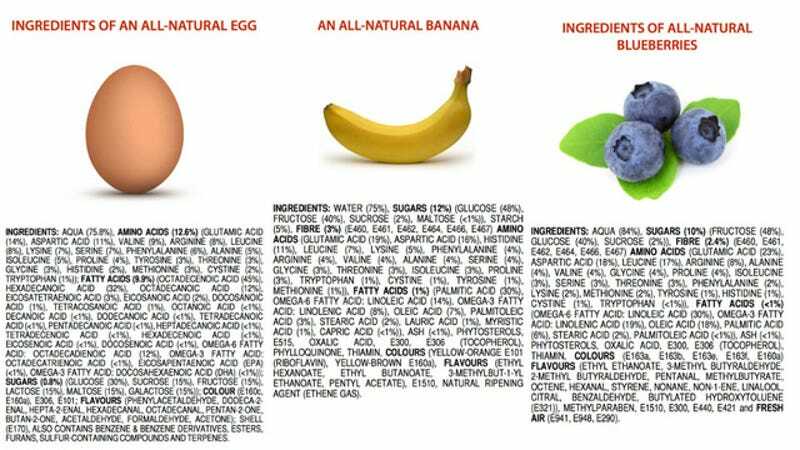 These images were put together by James Kennedy, an Australian chemistry teacher. 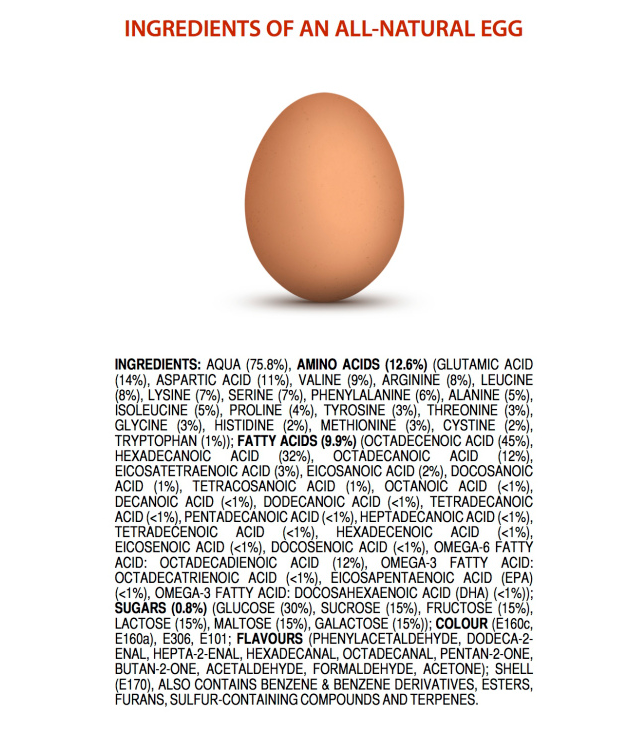 "I want to erode the fear that many people have of 'chemicals',' and demonstrate that nature evolves compounds, mechanisms and structures far more complicated and unpredictable than anything we can produce in the lab," he told io9. 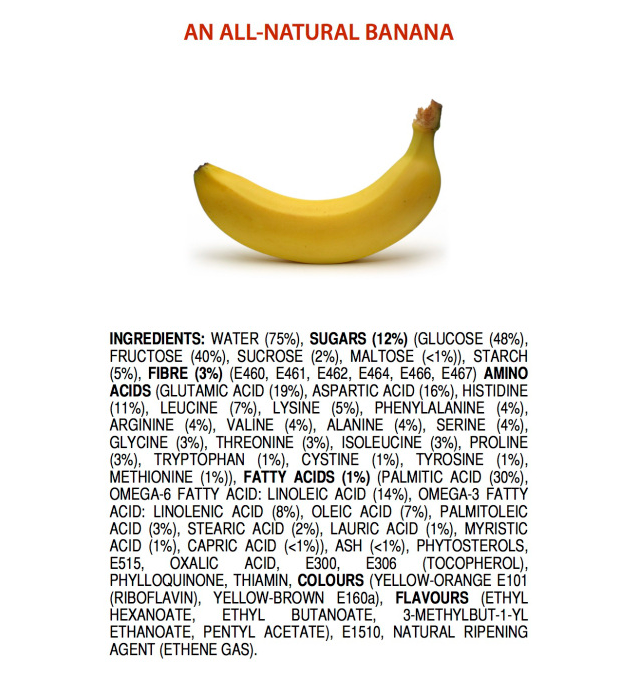 "This poster series breaks down all the major ingredients in popular natural foods—using E-numbers and IUPAC names instead of common names where they exist. 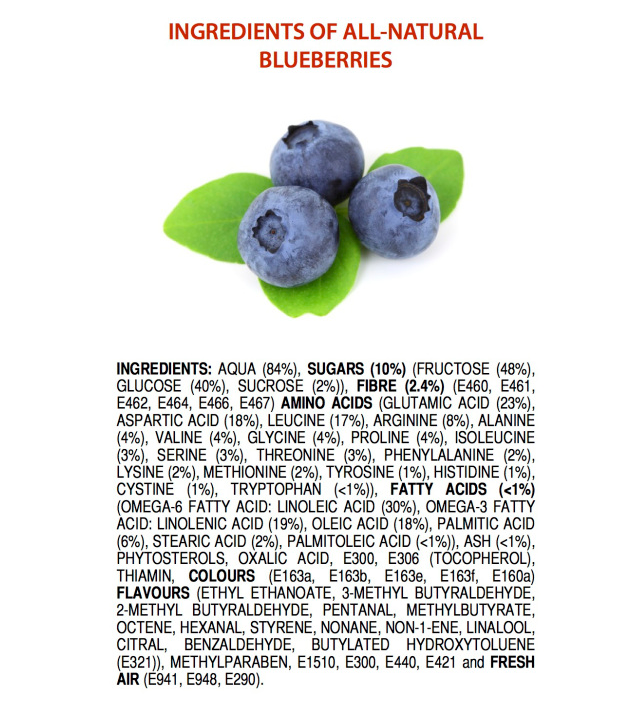 Anthocynanins, for example, which are said to give blueberries their "superfood" status, are also known as E163."